Mmmm, mmmm, mmmmm! Those do look lovely! Can’t wait to see what you do with them. I also have a hunk of fabric I haven’t cut into. A very pretty batik that I had to have 3 yards of… it just got prettier and prettier as she unrolled it from the bolt. I take it out and pet it on occasion – just haven’t found the right pattern for it… yet. Love those colors – but I am saving them too for a special quilt. Maybe we should do a purple and green challenge! 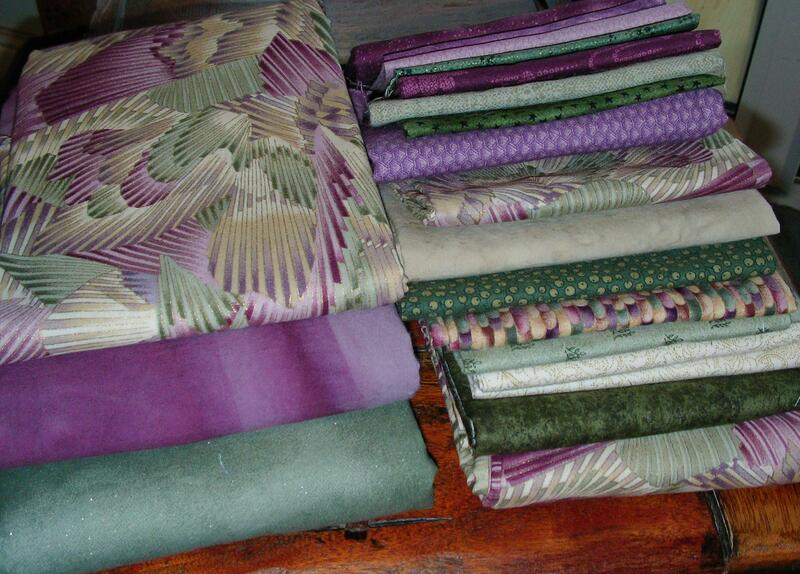 I am getting ready to cut into some old favorite yardage to make covers for some large pillows. I have a lap quilt with the same fabric, so it will be a great set. But, I am sure my hand will be quivering when I do start cutting – is this the “right” project for this fabric? Howdy, when you do make something with your batik, we want to see that, too! Thanks for your comments. I always look forward to “speaking” with you! Those are beautiful fabrics. I’m sure you will have a fabulous quilt when you are done. That’s a really nice fabric. And I would be a little nervous about cutting in to it and making the right quilt. If you have EQ6, you could design the quilt and plug in the fabrics to see what it would look like. Just a thought. I know exactly what you mean about having fabric you can’t bear to cut. I have a few pieces that I have been hoarding for years. I take great pleasure in just taking them out and admiring it. It seems to glow when I tell it how pretty it is. If you can be brave enough to cut yours in 2010; I will start searching for the perfect pattern for my perfect fabric and use it in 2010 also. That would be great! I wonder if anyone would be interested in doing a challenge with us? I’ll do a post and see if anyone wants to join us, shall I? I remember that fabric, the guild had a mini quilt challenge, and I had such a little piece of fabric! I still have it hanging on the wall. Oooh Lori… please could we see it? 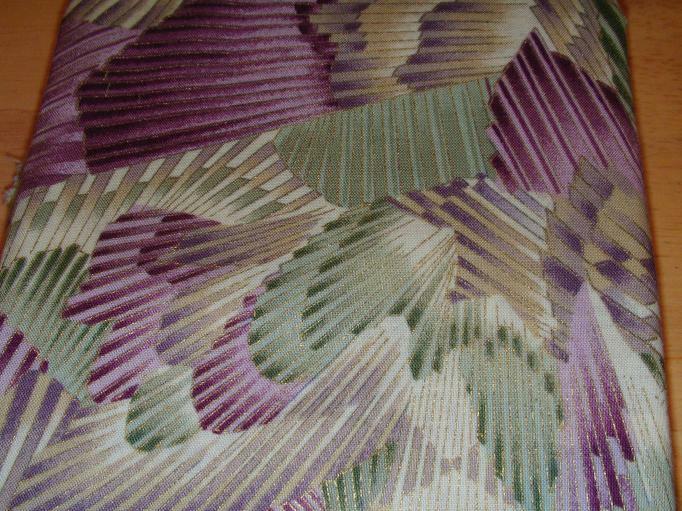 I don’t have that Hoffman fabric, though it is very pretty. So, we have a possibility for two challenges – a color based one and a “cut into that perfect fabric one”…. hmmm.. which one to do, or both? That is going to be one gorgeous quilt – the fabric combination is stunning!